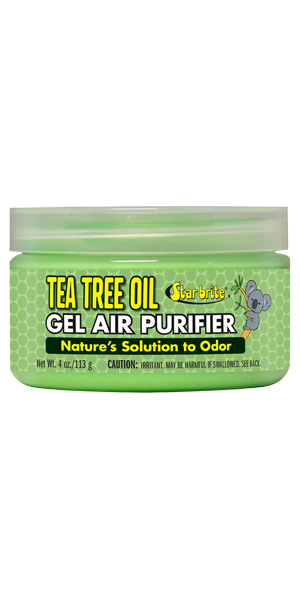 Star brite’s new TEA TREE OIL products offer a natural solution to unpleasant odors on boats, RVs or in homes and offices. By harnessing the power of Australian tree oil, these products help maintain air quality without the use of perfumes or caustic chemicals. Available in tubs that can be deployed anywhere odors are present, as well as in a spray version that can be used to freshen the air as well as treating odor on hard surfaces or fabrics. Simply twist off lid and remove the inner seal and replace lid. Tea Tree Oil Gel Air Purifier will work to maintian healthy air for up to three months. When the gel turns dark and hardens, discard and replace. High-tech formula encapsulates odor and eliminates on contact, instead of just masking it.